Blogging - Six Years On. If you'd have asked me back in 2009 when I started this blog, where I see myself in 6 years. I probably wouldn't have said still blogging. At the time it was one of those things that everyone was jumping on. Some people stuck at it, others didn't. Things have changed drastically since it all began. It seems like it's more of a numbers competition. People fight to get the attention from brands just to get something for free. I'm not saying it's all bad of course because if it was, I wouldn't still be here. Whilst my blog hasn't rocketed in terms of numbers like Zoella, or whichever bloggers people are fawning over now. They are numbers which I've worked for and though they may only be a drop in the ocean to some, mean absolutely everything to me. I think that's been one of my biggest downfalls over the years. I've constantly compared myself to others. It's something I do throughout all aspects of my life and I don't say this to garner attention but I always feel like what I do is never good enough, especially for others. I think just recently that I've learnt that what others think about me is more of a reflection on them than it is me. Over the past few years I definitely feel like my blog has improved in terms of photos and the way I write and review things. It's so cringey to look back at old photos, what was I thinking? Though I'm sure we all have those moments. My posting schedule at times has been a bit sporadic and I feel at times it's had a negative impact on things like readership. Writing can be hard if your heart isn't it and it shows in your writing. I've been rather open with my battle with depression, perhaps a little too much. But it's definitely something that has put a hold on me writing as much as I would like as I struggle to find the right words. I've recently found scheduling a specific time to write posts just for the blog has made a massive difference in getting things done. It's really helped me refocus. 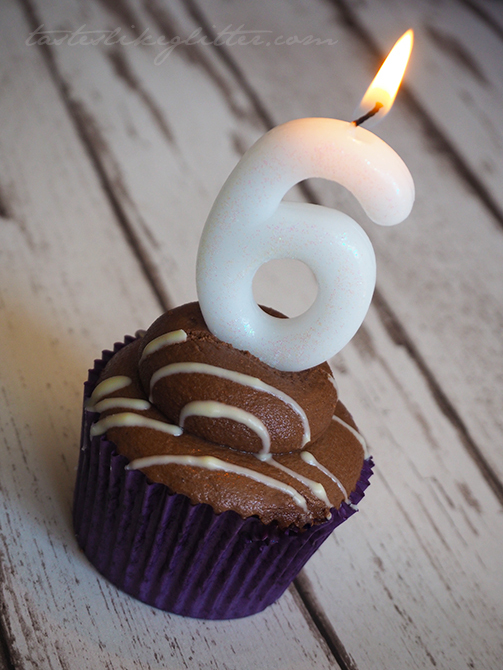 I can't believe it's been six years since I started my blog. It feels like so much longer than that but at the same barely any time at all. Happy 6th birthday to my little slice of the internet. It's been good and I can't wait to see what happens in the coming years.